Full disclosure, I have written articles for the magazine in the past. An interesting thing happened mid-March in Boulder which the media seem to have mostly missed. Commissioners from Grand County showed up at a noisy Boulder County commissioners’ hearing on a West Slope-to-East Slope transmountain water diversion project – to testify on behalf of the project. It is probably the first time ever, in the generally contentious history of Colorado water development, that the people in a basin of origin have supported a transmountain diversion project that people in the basin of destination oppose. Although this is a story from just beyond our Central Colorado boundaries, it is a story of interest to anyone in the West who is wondering how, or even if, we are going to finally leave the 20th century and venture into the 21st and the Anthropocene Epoch we keep trying to pretend we haven’t brought on ourselves. 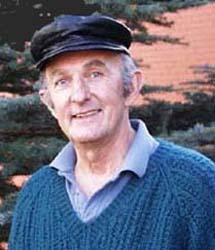 The report on the Boulder County hearing sounded like your usual 20th century public hearing on the kind of issue that seems almost structured to pit environmentalists against the developers of something or other – a hearing in which no one has to listen because everyone already knows what everyone else is going to say. For the West Slope and Grand County, DW is both funding and actively participating in planning and executing a Learning by Doing process – essentially, an adaptive management process of active experimentation in learning how to live with less water. Some of it is more conventional work providing funding and expertise to water treatment districts and irrigation districts needing to use less water more efficiently. After more than four hours of impassioned pleas from members of the public Thursday night, Boulder County commissioners voted unanimously that Denver Water’s planned expansion of Gross Reservoir must go through the county’s review process. That vote, affirming an earlier finding by Boulder County Land Use Director Dale Case, now poses a significant challenge for the utility, which serves 1.4 million water users in the Denver metro area — none of them in Boulder County — and claims the project is needed to meet the needs of metro population that’s just going to keep growing. Denver Water’s plan had been to start construction this year on a project to raise the Gross Reservoir Dam in southwestern Boulder County by 131 feet to a height of 471 feet and to expand the reservoir’s capacity by 77,000 acre-feet. The cost of the endeavor, said to be the biggest construction project ever contemplated in Boulder County, is now estimated at $464 million (in 2025 dollars) and could take at least six years to complete. Boulder County Land Use Director Dale Case issued a finding on Oct. 22 that Denver Water’s plans, formally known as the Moffat Collection System Project,were subject to the county’s so-called “1041” review process — that number references the state House bill passed in 1974 allowing local governments to regulate matters of statewide interest through a local permitting process. Denver Water however, has argued to the contrary. “We contend that state law exempts the expansion from the 1041 process because it was permitted under local land use codes at the time that the state enacted the law authorizing the 1041 review process,” said Denver Water spokesman Travis Thompson. Online sign-ups for the March 14 hearing start Feb. 14, while in-person sign-ups will start an hour before the hearing. Commissioners plan to continue to take public testimony until all speakers have had an opportunity to comment, according to a news release. After the public hearing, commissioners will hear Denver Water’s appeal of a decision by the county’s Land Use Department that Denver Water must run the project through what is known as a “1041” review process before construction can begin. Named for the bill number by which it was enacted in 1974, the 1041 legislation gives local governments the right to control development by agencies beyond their boundaries through a local permitting process. 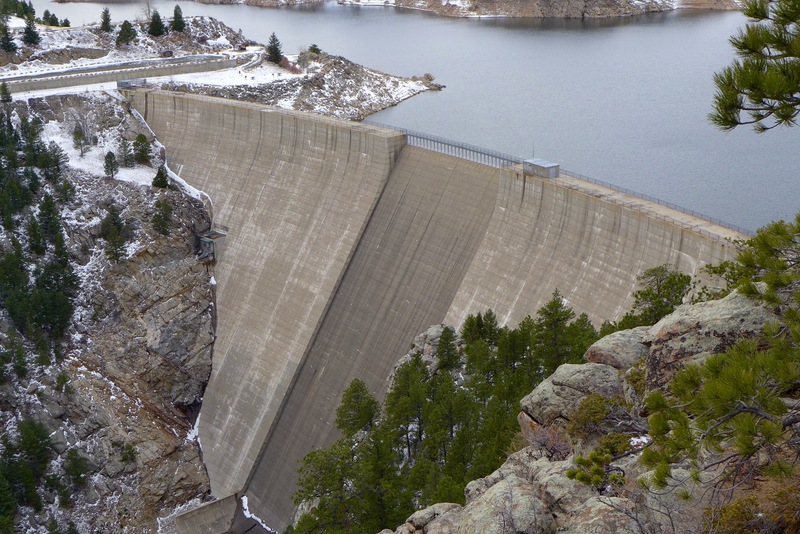 Denver Water argues the Gross Reservoir expansion is exempt from 1041 requirements. Boulder County claims it is not. Written comments can be submitted through an online comment form available at bit.ly/GrossDamExpansion. Comments also can be mailed to the Boulder County Commissioners’ Office, P.O. Box 471, Boulder, 80306. Comments need to be received by noon March 12. Denver Water requested that Boulder County Land Use Director Dale Case determine the applicability of the Boulder County Land Use Code to Denver Water’s proposed expansion of Gross Reservoir. Denver Water has argued that it is exempt from having to submit its project for Location & Extent Areas & Activities of State Interest (1041) review under Article 8 of the Land Use Code. Director Case responded to Denver Water on Oct. 22. His determination is that Denver Water’s proposed reservoir expansion project is subject to review under Land Use Code. Before undertaking the project, Denver Water must obtain a permit under Article 8 of the Code. Denver Water may appeal the decision to the Boulder County Board of Commissioners as provided for under 8-406(B). 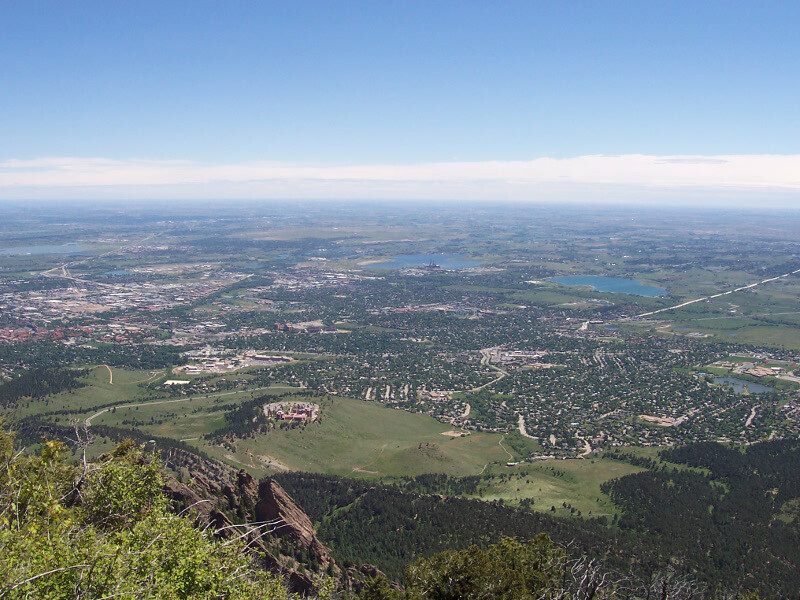 The Board of Water Commissioners for the City and County of Denver, aka “Denver Water,” is in the process of applying for a planned expansion of the Gross Reservoir Dam in southwest Boulder County. While this is not a Boulder County project, the reservoir resides entirely in unincorporated Boulder County. The Army Corp of Engineers issued its Record of Decision granting Denver Water a federal permit for the project in July 2017. However, before it can commence the project, Denver Water must still receive approval of its hydropower license amendment application from the Federal Energy Regulatory Commission (FERC). Boulder County has intervened in the FERC application noting many reasons why the county finds the application to be deficient. In its motion to intervene, the county outlined nearly 20 points of contention with the project. On March 20, 2018, the county responded to FERC’s Supplemental Environmental Assessment, once again pointing out the deficiencies that Boulder County finds in Denver Water’s FERC application and FERC’s environmental assessment of the project. The county plans to further address impacts and concerns during a county (local) land use review process and has explained to FERC that Denver Water must obtain required county permits before it undertakes the project. Denver Water has not yet applied for a permit under Article 8 of the Boulder County Land Use Code (also known as a 1041 permit). 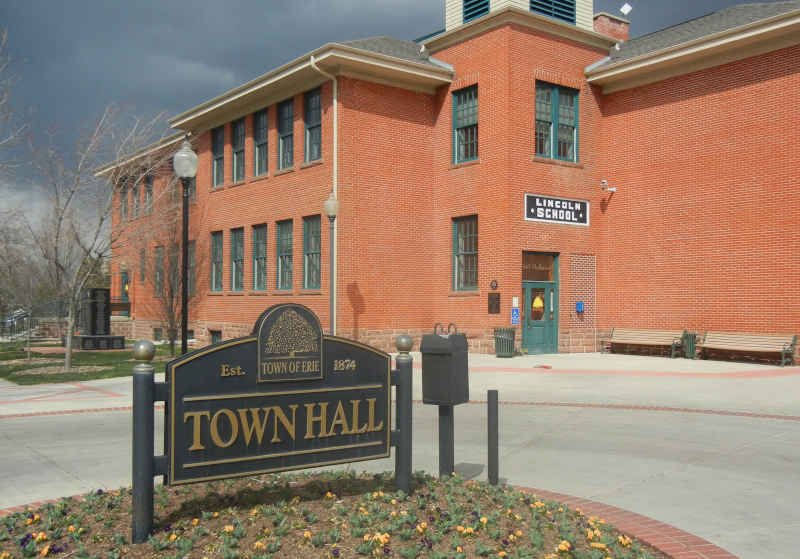 A 1041 review would allow the Boulder County Planning Commission and the County Commissioners to conduct public hearings and review the application according to the criteria in the Code. 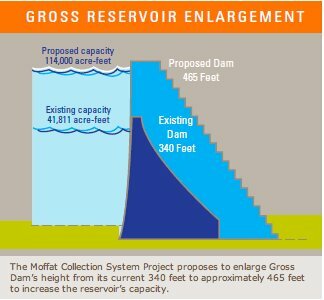 More information can be viewed on the county’s Gross Reservoir Dam Expansion Proposal information webpage. Also, individuals can sign-up to receive Boulder County-related hearing and meeting announcements concerning the proposed Denver Water Gross Reservoir Expansion Project. You can unsubscribe at any time. To receive notices about the Gross Reservoir project from Denver Water, look for the “Sign Up for Email Updates” option at the bottom of the page on the Gross Reservoir project website. All notices of meetings, minutes, and updates on the proposed project (also known as the “Moffat Collection System Project”) can be found on Denver Water’s website at https://grossreservoir.org/. The city of Boulder signed a contract with the Tri-State Generation and Transmission Association for the sale of hydroelectric power generated at five of the city’s eight hydroelectric plants. The deal is a 10-year agreement with an option to renew for another five years. It’s expected to generate about $500,000 per year in revenue, which will offset water utility capital improvements and operating costs that would otherwise be paid through higher water rates for customers. Hydroelectric generation harnesses the energy generated during the downhill trip from water sources to the water distribution system. Boulder’s hydro program consists of eight plants that generate about 37 million kilowatt-hours of electricity annually, enough to power 4,600 households and displace 20,400 tons of coal.